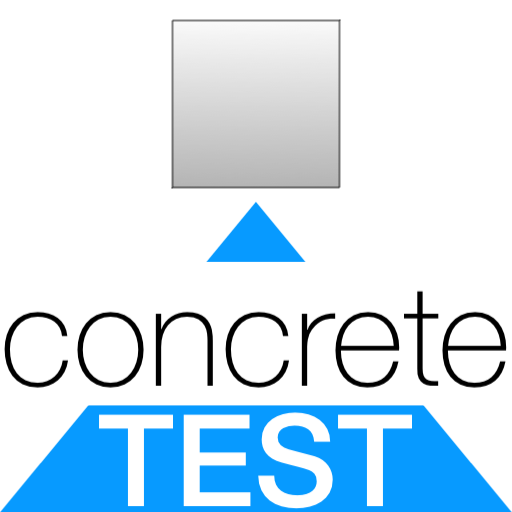 Concrete Test is an application for iPad published on Apple Store. The purpose of the application is the verification of compliance testing concrete strength used in structural works. - The Constructor. Tests in preliminary assessment of the resistance in order to obtain the performance required by the project; controls during construction. - The Precasting firm. Production control. - The Director of Works. Acceptance tests during construction and on ultimated structure. The checks may be usefully attached to the building report. - The Quality Controller. The checks may be usefully attached to the certificate of inspection. - The manufacturer and / or supplier of concrete. Production control. - The laboratory technicians. Information service to the Constructor; database on the quality of the concrete. - The bodies of quality monitoring of construction. Controls during construction and utimated structure. - The Researchers. The use in teaching or research allows further issues concerning monitoring of the quality of construction. 4.5 Languages: Italian, French, English, Spanish. 16/09/2015 - Version 2.12 is available on the Apple Store. The application complies with privacy laws and the contractual arrangements with the company Apple, the software distributor.